Carol Janet (Crocker) Rice of Norwell passed away peacefully on Sunday, March 24th at her beloved home of 56 years with family at her side. She was the daughter of Alden and Esther (Gustafson) Crocker. She is survived by her husband of 64 years, Winston Stanyan Rice, her sister Constance (Connie) as well as her four children Linda, Winston Jr (Buddy), Lucie and Jonathan, five grandchildren Gordon, Alden and Elizabeth Kinder, Nicholas Rice and Emma Jones and three great grandchildren Eloise, Daniel and John (Jack) Kinder. Carol was a graduate of Colby Sawyer Junior College and later received her bachelor’s degree from Wellesley College. As she pursued her educational goals, she encouraged and supported her children as they traveled their educational paths. She was a successful manager for a billing service for a Boston area medical practice. 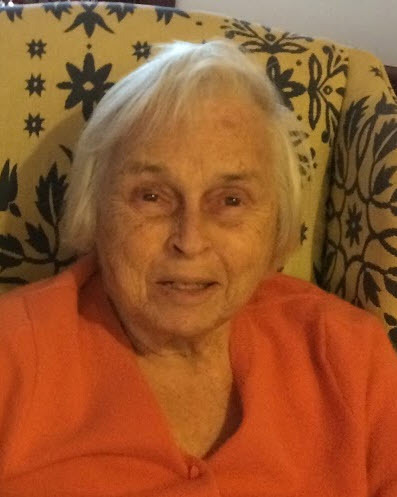 She was a member of the Satuit Boat Club and the North River Garden Club. She was an avid gardener and passionate about her Rhododendrons, Azaleas, Day Lilies and Peonies. Her fascination with Colonial New England architecture and local furniture making led her onto a project to transform her 1960’s home into a period replica that became a dream fulfilled. Consistent with her love of history and preservation, Carol was an active participant in the acquisition of the conservation lands of the Donovan Farm Estates in Norwell. A private celebration of Carol’s life will be held at a future date. Join in celebrating Carol’s life by donating to the NVNA and Hospice Charitable Fund: https://www.nvna.org/nvna-and-hospice-charitable-fund/ .